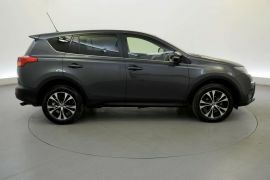 Toyota cars offer technologically advanced engines, up to the minute designs and the range includes city cars, off road vehicles and also hybrid cars. Choose from the Toyota Yaris, Rav 4 and Toyota Auris models at Imperial Car Supermarkets right now. Bluetooth Phone Connectivity, Keyless Start, Reversing Camera, Auto Headlights + Rain Sensors, 18 Inch Alloy Wheels, Cruise Control, Multi-function Steering Wheel, Auto Start / Stop, Toyota DAB Digital Radio/CD Player + AUX/USB Input + Bluetooth Audio Streaming, Anti-glare Mirror, Dual Zone Digital Climate Control, On Board Computer, 6X Air Bags, ISOFIX, Rear Privacy Glass, Anti Lock Brakes, Electronic Stability Program… Click here to check this nearly new RAV 4 out on the Imperial car Supermarkets website now. Imperial Car Supermarkets have showrooms in Southampton, Fleet, Portsmouth and Southampton, handy for the South of England and all of the Midlands.